Here is the perfect space to organize your business or casual meeting and events. 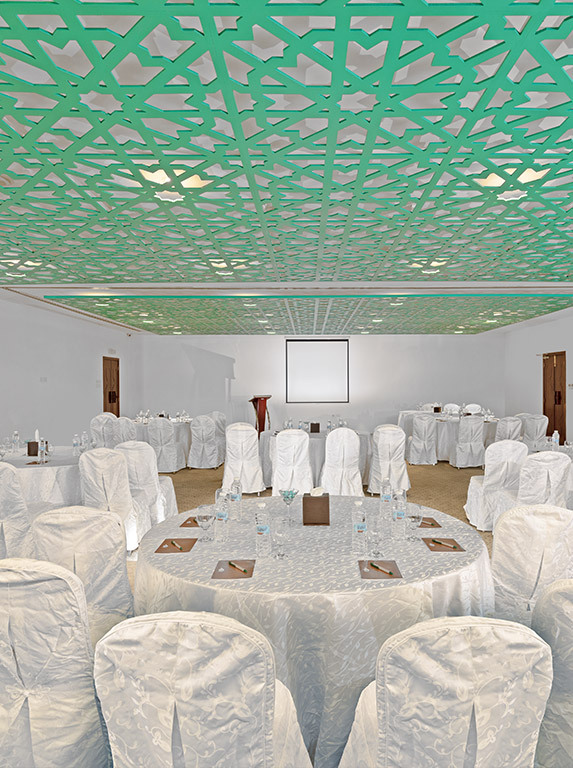 Our meeting rooms have been set up to organize any kind of meeting with a high level of perfection. These spaces are ideal for those looking to coordinate an intimate event with no outside disturbance. The interior of our meeting rooms is high-end, consisting every required facility, including a good space, all the latest technology facilities, and a projection area. A fine catering service is also available for those who want to add dining program to their event or meeting. Area- 160 sq.m./ 1,722 sq.ft. Ceiling height- 2.9 m. / 9.5 ft.